But it's not just new high-tech wheelchairs that can increase the functionality for users. Researchers on the FreeWheel project are developing a way of adding motorised units to existing wheelchairs to improve their utility in urban areas. The motorised units would attach to manual wheelchairs people already have in order to help them move around more easily and independently, Schiavi explains. These could either be rented for short periods of time and tailored according to the location—an indoor or outdoor environment—or bought, in which case would be completely personalised to the individual. "You have mobility apps that allow you to book cars, for example. Our app will allow the owner of a wheelchair to firstly subscribe to the service, which would include buying a customised interface to use between their own wheelchair and the motorising unit they have booked," said Schiavi. "A simple customised interface will allow wheelchair users to motorise their exact device, as it is used by them, at a reasonable cost." 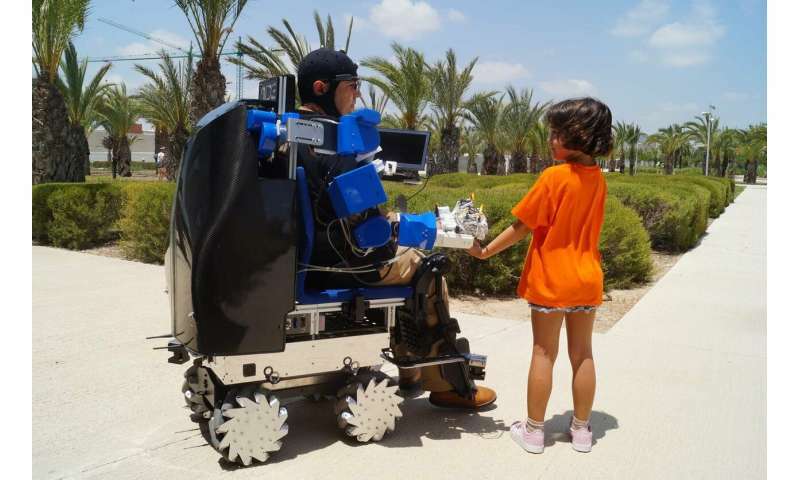 Schiavi and her colleagues are exploring various uses for the motorised units and next year, the team plans to test this system with mobility-impaired people in both Greece and Italy. They hope that, once developed, they will be made available like city bicycles in public spaces such as tourist attractions or shopping centres.